Let's face it. Too much of any good thing can ultimately cause franchise fatigue. For a while we were all geeked for a lot more Star Wars. But it seems that Kathleen Kennedy's revitalization of the brand is experiencing some inner turmoil. 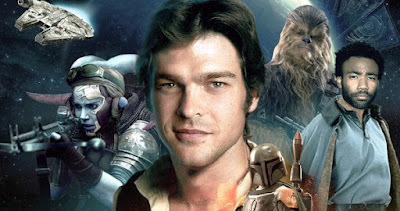 After Lord and Miller were displaced from the movie, Ron Howard came in to save the day, but things are still not looking positive for the prequel about the best smuggler in the galaxy. One supposed inside source is saying that Disney is expecting a "car crash" and that the movie will be a "bomb". That source tells Screengeek, "They were worried about it before all The Last Jedi controversy, but now they're essentially writing Solo off. The lead actor Alden Ehrenreich can't act and they had a dialogue coach on hand for all of his scenes. On top of that, the script is unworkable. It's going to be a car crash." In the case of a Han Solo spin off movie, no one asked for it and the project seems to be having some of the same problems that have plagued so many other huge franchises as of late. The original script was taking major steps towards being a slapstick comedy at which point the directors were removed and replaced with Howard. The film is scheduled for May 25, 2018.